There’s only ONE MORE WEEK to enter the Cookie PRO Contest through Girl Scouts! See the contest details below and enter for your chance to win today! When you participate, you’ll show the world how the Cookie Program prepares girls like you to lead, learn, and succeed not just for today, but for the future, too! 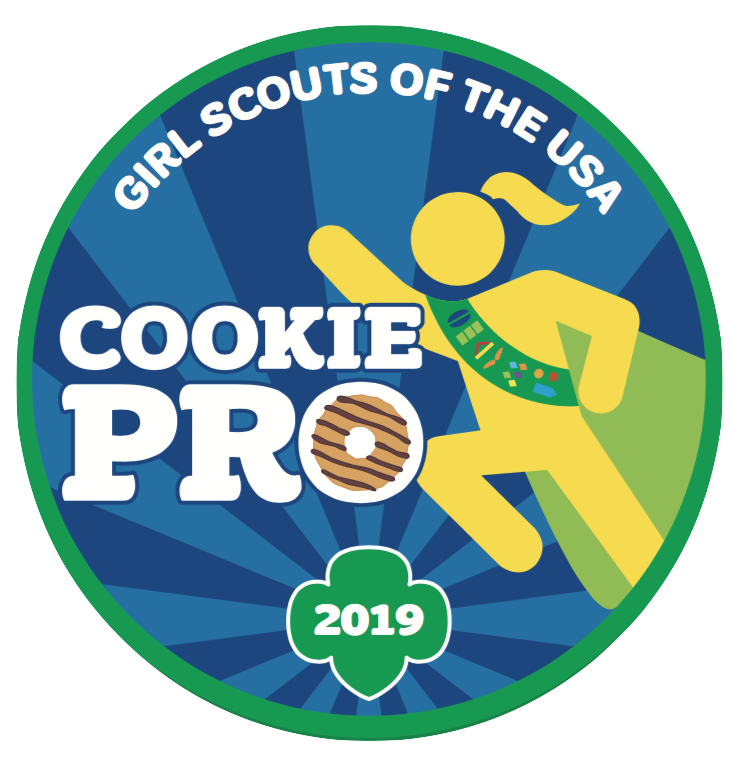 Every girl who enters the Cookie Pro contest will receive instructions by email on how to unlock this awesome, limited-edition Cookie Pro 2019 patch for optional purchase. We do have the patch available for purchase at all our shop locations for Girl Scouts of Western New York. The month of April is celebrated by Girl Scouts and other organizations as National Volunteer Appreciation Month. While we try to make sure our gratitude is known year-round, we love having a month to say it loud and proud. Even more, we celebrate April 22 as Girl Scout Leader’s Day. We know how valuable your time is, and we love that you choose to dedicate some of it to leading troops and changing the lives of our Girl Scouts! Here’s a message from one of our Service Unit Support Specialists, Kim Howson, about her appreciation for what you do, Lifetime Membership, information about our Spring 2019 L.E.A.P. promotion, and a POP UP PRIZE for all co-leaders who renew by midnight, April 24, you can win of three amazing shirts as shown in the video! Girl Scouts is excited to celebrate the 49th anniversary of Earth Day! This year marks 107 years of Girl Scouts’ blazing the trail of girl leadership in the outdoors, providing countless opportunities to explore, learn about our planet, and access resources to learn how to protect it. 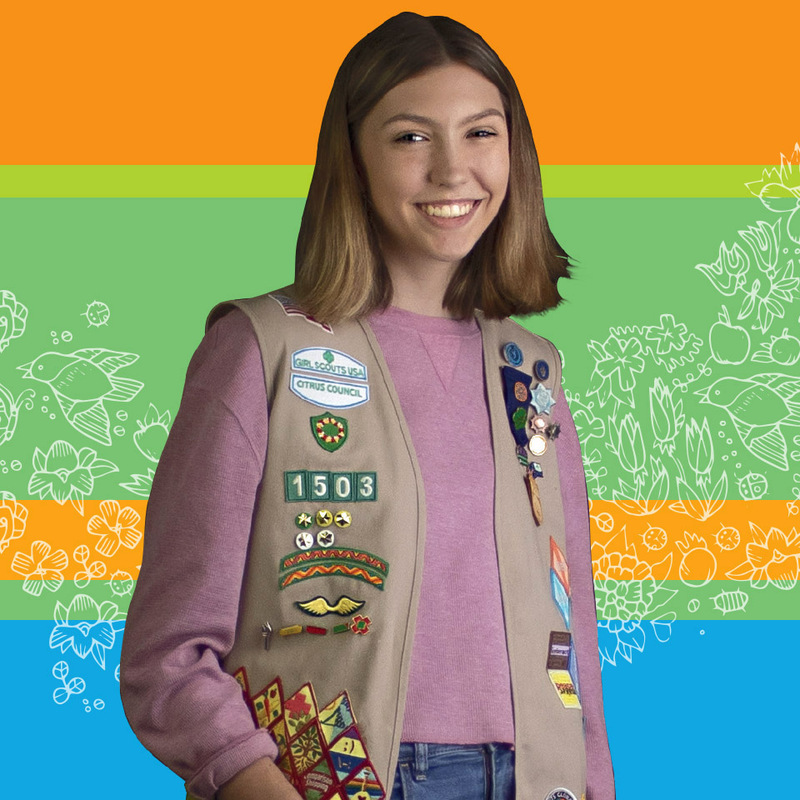 From learning to care for our planet to minimizing our ecological impact outdoors to advocating for nature, Girl Scouts of all ages become stewards of our precious environment. For instance, in the It’s Your Planet—Love It! Leadership Journey, girls learn about environmental topics, such as clean water and air, noise pollution, global warming, soil contamination, and agricultural processes. Each Journey is packed with current environmental information and offers ways to improve life for everyone on the planet. Environmental Stewardship badge offerings for girls in grades K–12 encourage girls to prepare for outdoor experiences and take action on environmental issues they care about. Although Girl Scouts have been advocating for the environment since the organization’s founding 107 years ago, these badges are the first to specifically mobilize girls to be environmental advocates who address problems, find solutions, and take the lead to protect the natural world. Educate and raise awareness about the importance of Earth Day. Making it a national holiday is one way. Stand with us and our partner The North Face by signing the Earth Day Petition here to make it happen! Support policies that protect broad groups of species as well as individual species and their habitats. Encourage individual actions, such as recycling, conserving water, or reducing the amount of plastic we use. 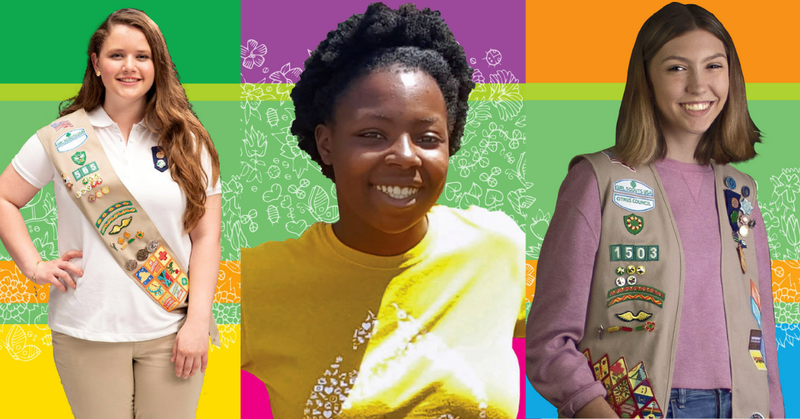 Read on for a healthy dose of Girl Scout inspiration from leaders who are already doing great things for our planet. Silver Award Girl Scout Zoé quickly realized the problem that plastic bags pose to the environment. One day, during her trip to a grocery store, she watched how many plastic bags were being carried out to cars. She realized it was happening in her community and all over America. So, she started researching after she came back home and found that there are over 160,000 plastic bags used globally every second. She also learned that it takes 1,000 years for each bag to decompose. In true Girl Scout fashion, Zoé took action even though the state of Florida has made it against the law to ban single-use plastic bags or to tax their use. How? She created the Plastic Bag-Free Mount Dora campaign. Zoé decided that she could make a positive change despite the existing Florida law banning bag bans. Her goal was to make consumers more aware of positive choices with custom reusable shopping bags that highlight the businesses that voluntarily participate in a #PlasticBagFreeMountDora—way to go! Learn more about Zoé’s project. 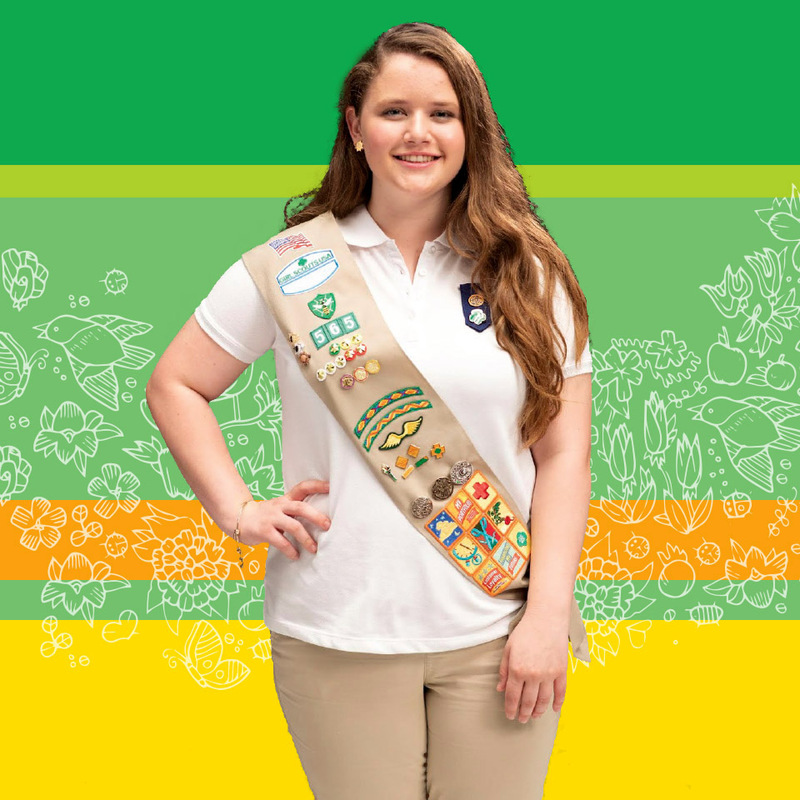 Gold Award Girl Scout Rachel took on environmental action in a big way! For her Gold Award project, she cultivated more than 100 mangrove seedlings for an entire school year. Every Saturday she worked with her mom to clean and rid the sprouts of bugs as well as collect data. Rachel then teamed up with Florida International University to rehabilitate mangroves in Biscayne Bay and gathered volunteers from a local middle school to help plant the propagules she’d so patiently raised. 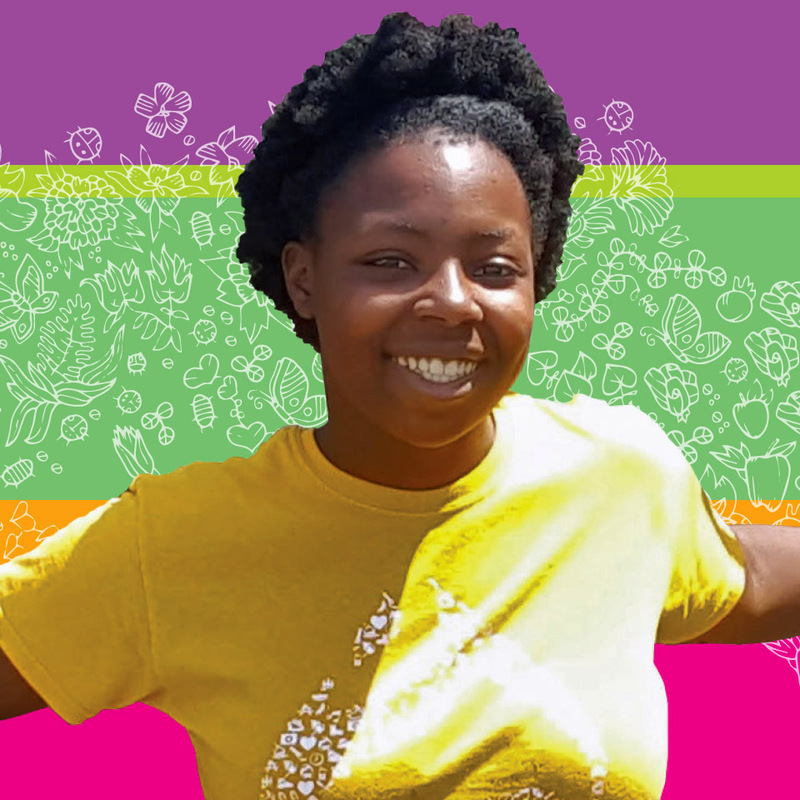 This go-getter also organized a coastal cleanup and hosted an invasive species removal effort to make sure the newly planted mangroves had a safe ecosystem. It’s no surprise Rachel will be majoring in environmental science at Florida Atlantic University—we look forward to seeing this green blood’s green thumb continue to impact our environment for years to come! Learn more about Rachel’s project. After volunteering at a local aquarium, Shelby was struck by the environmental issues facing our oceans—so she decided to take action. Jr Ocean Guardians was Shelby’s Girl Scout Gold Award project, allowing her to share her passion for saving our oceans and marine life. As part of her project, she and her Jr Ocean Guardian Ambassadors visit young schoolchildren and host beach cleanups to spread the word about alternatives to single-use plastics and the importance of recycling. Shelby also led a “No Straw November” push to increase awareness of the amount of disposable plastic straws discarded daily. Her efforts were so successful that the California Coastal Commission unanimously approved Shelby’s resolution by the same name. Learn more about Shelby’s Jr Ocean Guardians. There’s no age limit when it comes to making changes that positively impact the environment. If you or your girl is interested in taking civic action, G.I.R.L. Agenda Powered by Girl Scouts resources are available to help. Get started now! Summer camp is just around the corner and we wanted to remind you about some really cool programs that are taking place this summer. Reserve you spot for the hottest place in town, Girl Scouts Summer Camp! This program is designed for campers who want to experience day camp and resident camp at the same time! Spend Monday and Friday at Piperwood. On Tuesday, girls will be bused to Camp Timbercrest to experience 3 days of resident camp. Spend time with your friends swimming, boating, hiking, learning new camp songs, practicing your archery skills, and more. Girls will return to Piperwood Thursday afternoon in time for daily dismissal. Bus transportation provided to and from Camp Timbercrest. Spend two weeks challenging yourself and mastering the elements of the Seven Hills Ropes Course, once your skills are mastered it’s off to Sky High Adventure Park in Ellicottville, NY, for more fun and adventure. All of this while still enjoying the splendors of camp life. Girls will earn the Seven Hills ropes course patch along with the activity rider for each ropes course element that they participate on. Are you ready to experience nature’s nightlife at Camp Seven Hills? Prowl around our trails at night, search the sky for a shooting star, have a glow-in-the-dark party with games, plan a kitchen raid, and shop in the Tuck Shop, all at night. You will also head out to Lasertron for a laser tag sleep-in. Stay up all night playing laser tag and games along with pizza and pop. After a hard night of play, sleep late the next morning with time to enjoy your favorite camp activities in the afternoon. Girls must be at least 46 inches tall in order to participate at Lasertron. Experience the underwater world through a mask, snorkel, and breathing device. Professional scuba instructors from Dip N’ Dive will take you through every step necessary for you to obtain your Jr. Open Water Diver or your Open Water Diver scuba certification. Spend a week at camp training in our Seven Hills pool covering the first phase of your certification. Spend your second week completing the second phase: open water dive with overnight conducted at the Windmill Quarry, located in Fort Erie, Canada. When you surface, don’t forget to leave time for all of the other great activities at Seven Hills. Welcome to a week of wizardry and adventures! Make oozing and exploding potions, discover helpful plants, and try some magic defense techniques. Spend time conquering your fears with your friends as you play broomstick sports and compete in the Camp Wizard Cup. Spend eight glorious days and seven exhilarating nights discovering the wonderful sites of the Allegany Reservoir as it takes you through the state park and the national forest. Professional guides from Adventures in Fitness will start your trip at Webs Ferry in Allegany State Park and end your journey in Tionesta, PA. Paddle with friends, pitch tents, and share stores around the campfire at night. Use your imagination! Create fun craft projects using a variety of supplies such as K’nex Kits and natural materials. Create miniature theme park activities or water slides to show off to your friends. You will also get to see your creative park creations come to life when you take a trip to Splash Lagoon with your fellow Imagine and Connect friends and get a behind-the-scenes tour of how things operate. There will be plenty of time left to spend in the park, too. All this and the other great camp activities are included. Girls will earn requirements towards the Think Like An Engineer Journey. In April, Girl Scouts of the USA will be conducting a national survey with girls, parents/caregivers, and troop leaders called Girl Scout Voices Count to find out what’s working, and what’s not, in Girl Scouts. (Service Unit/Community Volunteers will be surveyed in May.) We will use your feedback to improve our services and programs. The surveys opened April 3 and ends May 12. Check your email for the invitation to participate. As a Thank You, everyone who completes the survey will be entered into a raffle to win one of twenty $50 gift cards! We can’t wait for you to make your voice count! Make a Difference in a Child’s Life, Be a Summer Camp Counselor! Do you want to volunteer this summer? Are you looking to do an internship for college credit or majoring in education or camping administration? Do you love working with children in an outdoor setting? You can be part of a fantastic summer experience and make a difference in a child’s life! All you need to do is become a summer camp counselor. You will help girls ages 5-17 develop their full potential; learn to work with, relate to, and respect others; and make decisions while contributing to the camp community. In addition, girls and staff alike will make and rekindle friendships, laugh, smile, and experience many new and different things. Paid and volunteer positions available. Interested applicants please contact Janet DePetrillo, Director of Camp Administration at (716)935-6063 or janet.depetrillo@gswny.org To fill out an application click here. Camp is a commitment of 6/7 weeks, 1 week of staff training and 5/6 weeks of camp. Although we would like all staff to be able to commit to the entire summer, we realize that sometimes situations arise that prevent this. If this is the case for you, please do not let this deter you from applying. We will work with you on the number of weeks that you can commit to working at camp. Day Camp Dates: Staff week- Saturday, June 22 to June 27, and July 1 through August 10, 2019 summer camp sessions. Resident Camp Dates: Staff week- Saturday, June 29 to Friday, July 5, and July 7 to August 11, 2019 summer camp sessions. Taste of Camp is a great way to see our grounds, meet our staff, and ask your questions about summer camp. Plus, attending means you’re entered into a drawing for a free week of camp! For those in the Rochester area or interested in day camp, our first Taste of Camp event is happening at Camp Piperwood next Saturday, April 27, from 1 to 3 p.m.
New to summer camp? Visit us this spring to get a glimpse of what your summer camp experience will look like. Informational sessions, tours, and a sampling of camp crafts will be available. You will also have an opportunity to register for summer camp 2019, and a chance to enter your name for a free week of camp and other cool camp prizes. April 27 1 to 3 p.m.